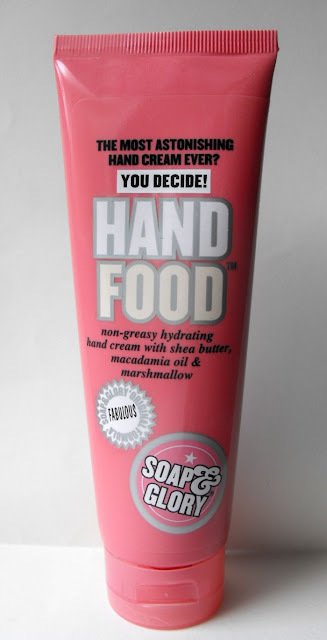 Sophsterlicious • UK Blog: - Soap and Glory: Hand Food. Do you feed your hands? ... I never used to bother with hand creams, but this one which I received as a Christmas gift in a set changed that. It's addictive, and I love it. 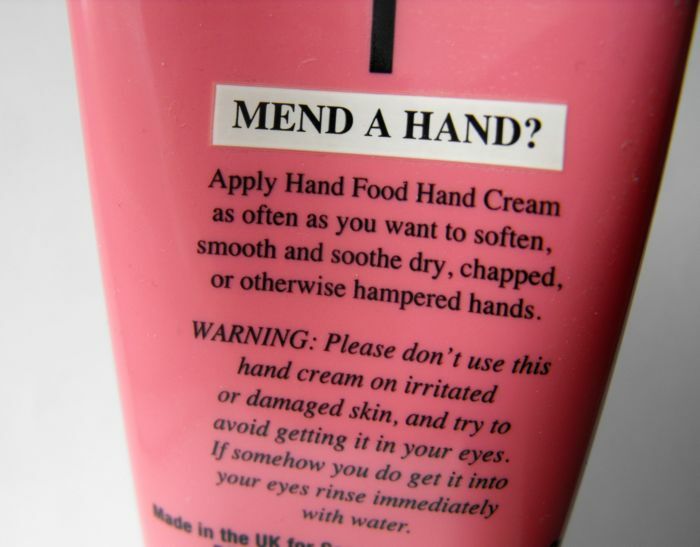 It's from Soap & Glory, a brand which I love - I'm yet to try a product that I dislike. This stuff is excellent, It smells gorgeous, it's thick but it soaks in really quickly, leaving me with smooth soft hands for hours. The scent lingers too, and I can't stop smelling my hands all day. I would definitely recommend this hand cream if you are looking for a good quality, reasonably priced hand cream. It ticks all of the boxes for me! This is the same tube that I got at Christmas, and I do use it! Such a small blob of this goes a long, long way, as you can see in the above picture. Hand Food is available from Boots. 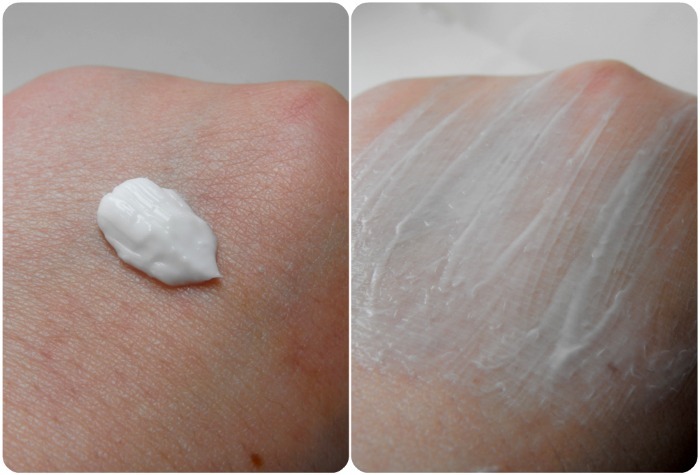 So many people rave about this hand cream, but I found that it was so heavily scented it irritated my skin, which is a shame - I feel I'm missing out! I can smell its sweet scent even while simply looking at it (or maybe it's just your blog layout and theme). Anyway, I am going to add this one on my to-check-out list. soap and glory is amazing the scent i could eat if i could lol!